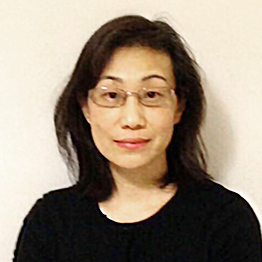 Ms Ma has studied Traditional Chinese medicine (TCM) with a systematic Western medical training for six years. She graduated with a First-class honour degree from Beijing University of Chinese Medicine in 1992, and gained her qualification of a TCM and medical doctor. She obtained her medical research Master degree (China’s equivalent of PhD in medicine) in 1995. Her research projects were mainly on experimental studies on Immunological effects of Chinese herbs in conditions of tumour, and she wrote some articles for a few Chinese leading TCM and Immunology journals. Ms Ma started her TCM therapist career in London from 1997, successfully applied her up-to-date knowledge and skills into her practice. Brought up in a martial art family, she is a very skillful in acupressure and acupuncture, and good at providing advice on mindfulness and relaxation exercises to approach the best health care. Ms Ma specialises in Infertility, General well being maintenance, Anxiety and Tiredness, IBS, Pain-related problems. * This website content is not intended to make any medical claims and is not meant to substitute the advice of other health professionals. Acuherbal always recommends that patients visit their conventional doctor as well as seeking our help. Copyright © 2018 Acuherbal Acupuncture. All rights reserved.